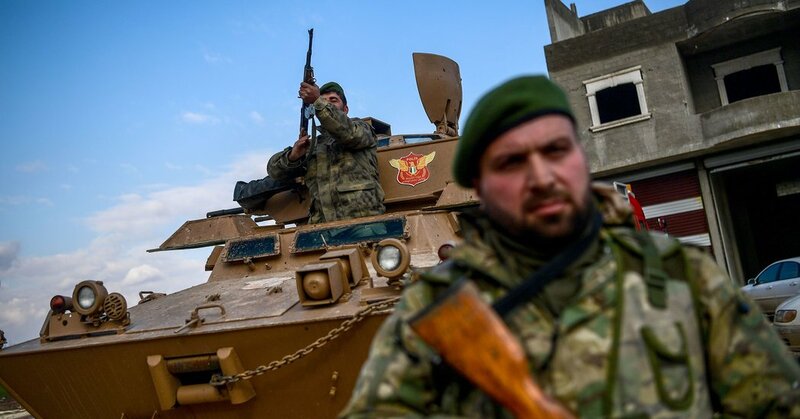 The United States will eventually realise it has made a mistake by backing Kurdish rebels in northern Syria, but Turkey needs to take action to protect itself before that mistake is widely understood, Turkish Foreign Minister Mevlüt Çavuşoğlu wrote in the New York Times. “American reliance on the People’s Protection Units (YPG) is a self-inflicted error when the United States already has a capable partner in Turkey,” Çavuşoğlu said. The operation was carried out in self-defence, he said, in line with international law. “An impasse has been created between us by the United States’ choice of local partner in this war: a group that the American government itself recognises as a terrorist organisation,” Çavuşoğlu said. The YPG are simply the Kurdistan Workers Party (PKK), which the United States recognises as a terrorist organisation, under another name, he said. The United States shouldn’t rely on the People’s Protection Units in Syria, but on Turkey.